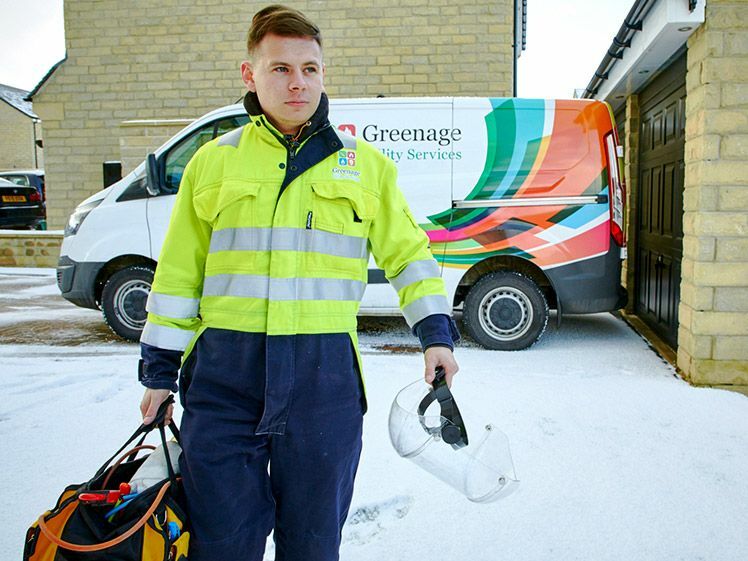 Greenage are a utility services company with over 25 years of experience, who are quickly becoming a major UK utility contractor. Due to their respected clientele, the business decided to invest in a bespoke wordpress website. 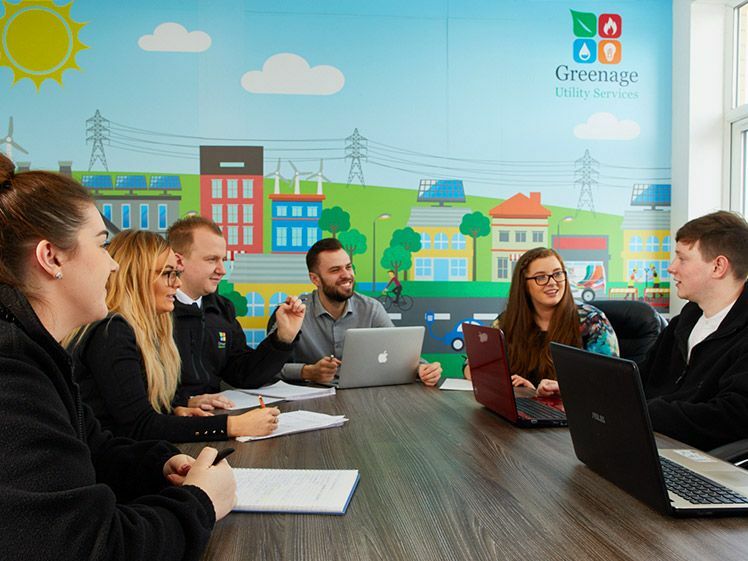 The main aim for the new website was to highlight their brand values, investment in training and apprenticeships and their excellent customer services centre. 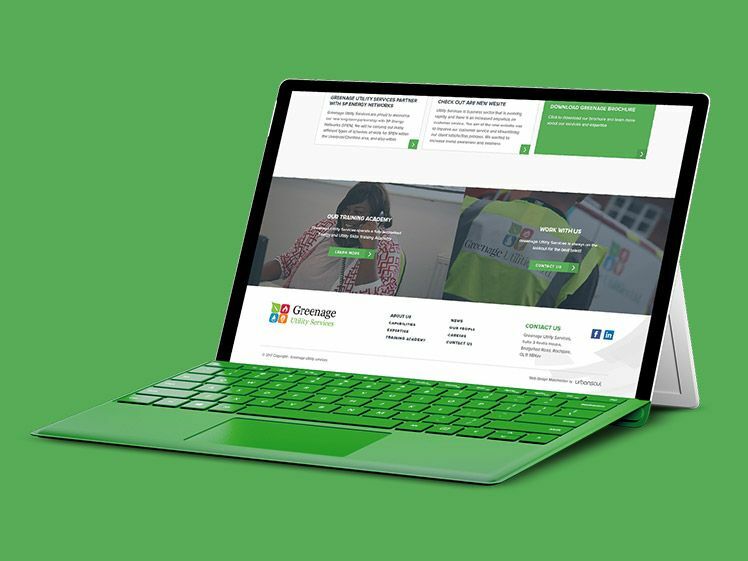 Alongside their new website, the company also wanted their new brand image to be conveyed throughout all business materials such as corporate stationery, banner stands, powerpoint templates, business cards and more. 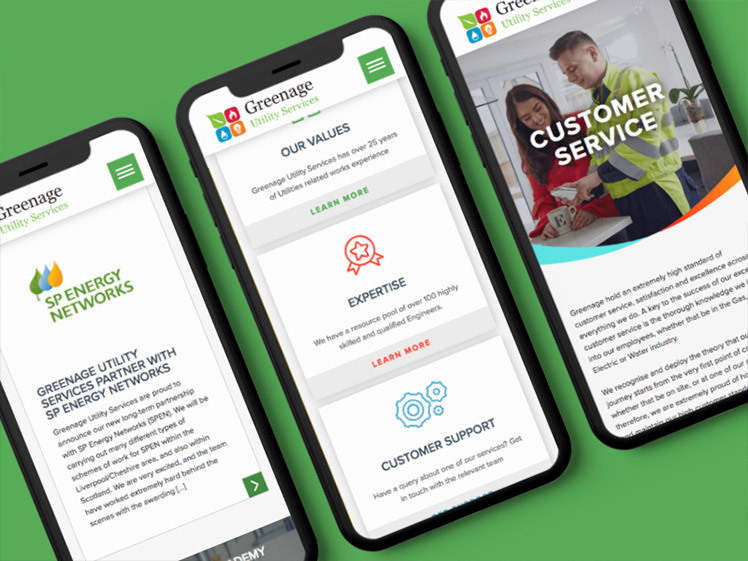 As this was a bespoke website build for Greenage, it was important for us to fully understand their brands values and ensure the design we created in-line with their company ethos. 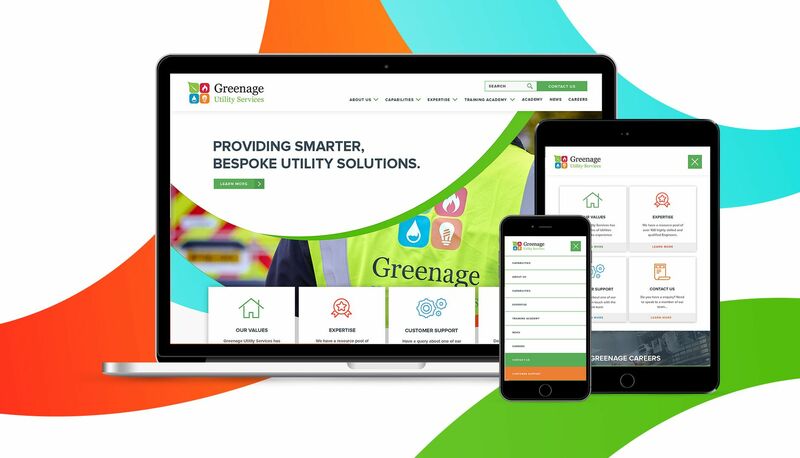 By completing a site visit, our design team were able to gain a better understanding into what the company does and how they do it, enabling them to come up with creative concepts that would complement the Greenage Utility Services brand. Once the creative ideas had been approved, we sent our photographer on site to take a number of creative photos including civils works, customer service centre and members of the team. Selected photographs were then incorporated into the new website design. To create an efficient website feedback process, we added a form to each of the different sector page, which would then automatically send a specific department email with a tailored subject line. We also ensured the new website complied with the latest data protection regulations by adding an SSL certificate, necessary GDPR compliance text and privacy policies.